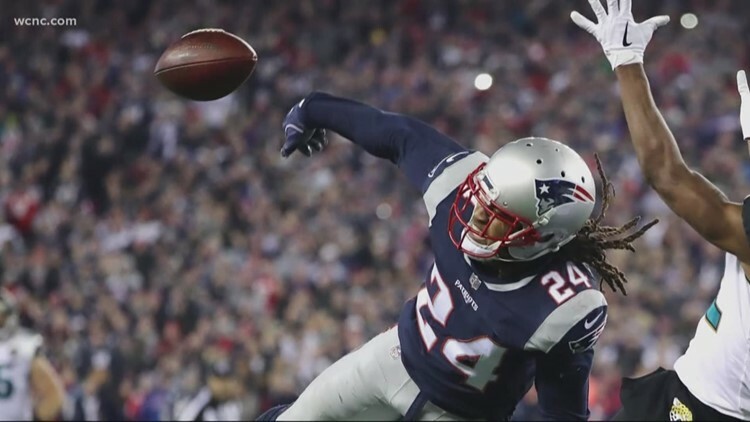 ROCK HILL, S.C. — Stephon Gilmore's path has gone from Rock Hill to king of the hill as Super Bowl Champion. The cornerback for the New England Patriots ended a Rams' drive deep in Patriots' territory in Sunday night's Super Bowl LIII, which the Patriots won 13-3. This isn’t newfound fame for the former South Pointe Stallion. He has performed on the world's biggest stage before, losing in last year's Super Bowl with the Patriots, but this year he had fellow Rock Hill native Cordarrelle Patterson on the team. Patterson played at Northwestern High School in Rock Hill. The former high school rivals now have big rocks to bring back home. South Pointe principal Dr. Marty Conner says the entire school was cheering for Gilmore -- no one was surprised by his clutch play-making ability. "He's just that type of player, when he took that ball and intercepted it at a critical point in the game," Conner said. On the day Patterson and Gilmore celebrated their Super Bowl victory, Gilmore's former teammate at South Pointe and the University of South Carolina, DeVonte Holloman, was introduced as South Pointe's new head football coach. "I really didn't think I had a shot at it," said Holloman, who led Beaufort (SC) to a 5-6 record this past year. "I talked with my wife and family and here we are." Holloman, Gilmore and Houston Texans' star Jadeveon Clowney led South Pointe to their first state championship in 2008. Holloman told NBC Charlotte he still keeps up with his former teammates who play in the NFL, including Gilmore.